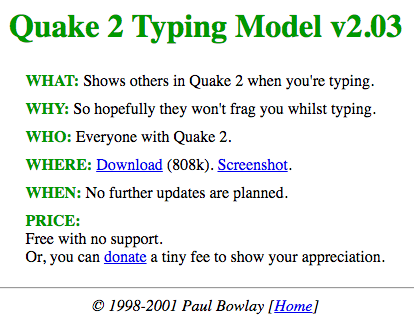 WHAT: Shows others in Quake 2 when you’re typing. WHY: So hopefully they won’t frag you whilst typing. 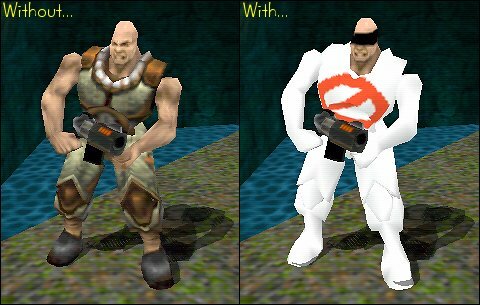 WHO: Everyone with Quake 2. WHEN: No further updates are planned. 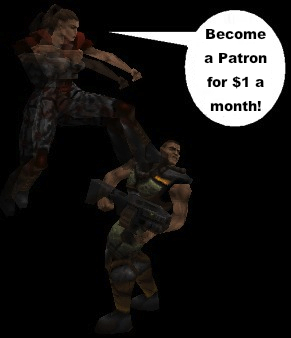 Or, you can donate a tiny fee to show your appreciation.